Purchase cool products at affordable prices at these flea markets in PA. Find indoor flea markets in PA. Serving Bucks County Since 1860! Rice's Sale and Country Market, Founded in 1860, and still going strong, claims to reach 15,000 shoppers on a "typical market day" through over 700 vendors. Their motto is "find everything under the sun" which is exactly what you can do if you take the time to browse through the stalls, and check out the always interesting wares peddled by the folks at Rice's. There's too much to name here, but to give you an idea: antiques, clothes, unique art, fabric, DVDs, pets, food, linens, music, and crafts can all be yours at Rices. 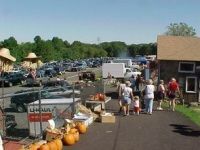 Don't miss the bargains at this amazing flea market, conveniently located in Bucks County! 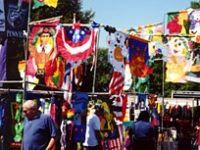 One of the Best and Largest Flea Markets in Pennsylvania! 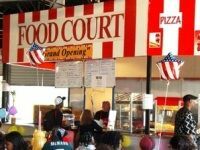 People come from all around to "experience the fun" at Pennsylvania's Largest Indoor-Outdoor Flea Market. The market is enormous, featuring vendors of all kinds, from farmers trying to unload delicious and fresh produce, to others hocking purses, craft goods, clothes, jewelry, books, and more. You won't believe what you'll find if you're willing to dig a little, and if you just want to take a stroll around, you're sure to find something to catch your eye. This is a great place to spend a little time, and maybe some cash, and enjoy a lazy Saturday or Sunday morning. The market it open all year round, so be sure to drop in when you're ready. A Cool Flea Market in Lancaster County! Why visit Root's Old Flea Market? The answer is simple: it's big, exciting, and gives you a chance to browse and buy things you can't see anywhere else. This is where vendors of antiques, vintage items, jewelry, unique artwork, and other treasures, come to sell their goods for whatever they think is reasonable. Come to wander around, come to haggle, come to bring home something cool. If you've ever spent the weekend looking for something to do, this is what you've been waiting for! 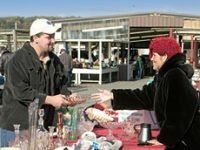 You will never be bored at one of the most interesting flea markets PA has to offer; we guarantee it! An Enormous Flea Market in Western PA! The Pocono Bazaar is an enormous flea market in Western PA, featuring every kind of thing you could imagine, like antiques, tools, and beauty products (just to name a few). The format is familiar to anyone who loves to hunt for bargains through endless aisles, though if you're a first timer to the flea market scene, this is a perfect, and interesting place to cut your teeth on. They have room for over 600 vendors, so whether you're looking to rent a stall, or looking to patronize one, you know they can help you out. Drop by; you're sure to find exactly what you never knew you always wanted at one of the best flea markets in PA! 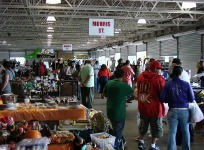 Billed as "The Best Flea Market in Philadelphia!" Recently relocated to the Bucks County Technology Park, the renamed Philadelphia Flea Market maintains its reputation of excellence for the consumer to the current day, with a 100% money back guarantee on items that cannot be reasonably exchanged. This is no fly-by-night operation; the front desk is able to hold its vendors responsible for sales, and the atmosphere of honesty and safety for the consumer only adds to the enjoyment of the various wares that are just waiting for the right passerby to scoop them up. You're guaranteed a bargain - all they have is bargains! 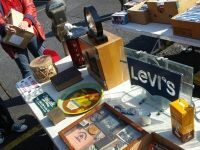 Come try one of the best flea markets in PA, and see for yourself! Fun Indoor Flea Market in Western PA! Lisa's Indoor Flea Market has everything you need whether you're a customer or a vendor - they've got plenty of space, a beautiful, clean facility, excellent management, and a great location, ready to bring you an enormous variety of goods to choose from. You can't help but be excited wandering the store; there are just so many deals and bargains and interesting things to choose from. Open Wednesday through Sunday, this is a perfect place to get in a little bit of holiday shopping, or just to browse, and let your mind, and your feet, wander around. Jakes Flea Market Has Serious Character! Jake's Flea Market in Barto has been running since 1980, and today has grown bigger and better than ever, incorporating a new pavilion for brand new stall space, and bathrooms for even more convenience. Jake's Market is the place to visit on a Saturday or Sunday and wander a little bit, searching through the various wares for anything that catches your eye. The market, in 31 years of business, has never been anything less than interesting, and so many have loved the way it attracts all sorts of unique wares and items that you won't find anywhere else. If you're looking for a flea market in PA with serious character, you've got to try Jake's. You Can't Beat The Artisan Market's Quality Goods! The Artisan Market at the Piazza (80,000 square feet on a beautiful plaza in the middle of Northern Liberties) is the largest year-round artisan market in Philadelphia. Featuring fair prices for the vendors who rent space, as well as for the customers looking to pick up some of the best locally made crafts, the market does a roaring trade each season. The foot traffic here is excellent; if you make something and need a place to sell it, the Piazza is virtually unbeatable. If you're looking to take a stroll through Philly, you just have to stop by one of PA's best flea markets. Featuring All The Cool Stuff You Never Knew You Wanted! The Pennsy Flea Market is open every Saturday and Sunday for a bit longer than most other markets (from 9:30 AM-5:30 PM), offering more convenience for you, plus a chance to wander the whole day away looking through a unique assortment of goods. There's a live auction every weekend as well, which adds to the fun. 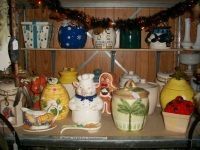 The bottom line is that the Pennsy Flea Market is large, it's clean, and it's organized; you really couldn't ask for more than that as far as flea markets in PA go. There's plenty of parking, free admission, and cool wares to buy. What are you waiting for? The Best Flea Market in Dover! The motto at the Newberrytown Peddler's Market is to "never leave a bargain sitting on the table." You'll find plenty of good bargains sitting on hundreds of tables at the peddler's market, all of them just waiting for you to come scoop them up. If you live in or around Dover (or you're willing to take a ride for great deals and enormous fun), you need to check this place out. It's indoor, has great food, and sells everything you could possible dream of. Want a vintage Barbie Doll from 1961? They have that. A handcrafted birdhouse? They have that too. Your favorite record? It's there. You get the idea. But you can't have any of the goods until you're ready to spend some time wandering the wonderful aisles, and have some fun. Fun Market with Lots of Variety! 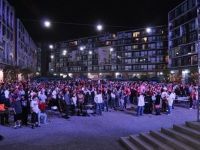 The Piazza at Schmidts is a beautiful hand-paved Italian-style courtyard which is used for various concerts, events and markets all year long. From April through September, for one weekend a month this 80,000 square foot piazza is turned into a bustling marketplace. When you visit the bazaar you will find clothing, crafts, handmade goods, vintage items and much more in this bustling marketplace. Vendors come from all around the area to sell their goods. In addition to finding deals, you can support area farmers and small business owners by shopping at the bazaar. 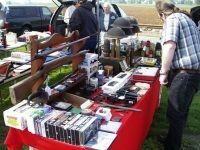 Large Flea Market and Auction Every Weekend! 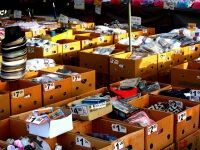 Visit Philadelphia's largest indoor/outdoor flea market and find some of the best deals around! 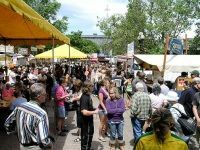 This huge market is open year round on Saturday and Sunday from 9:30am to 4:30pm. When you shop at the Pennsy Flea Market you will find everything from antiques and collectibles to toys, clothing and fashion to fresh produce. More than 300 different vendors mean the variety is endless. 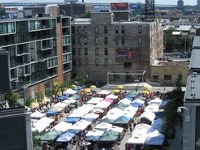 In addition to the market, Pennsy has a public auction every Saturday at 12pm. Arrive early and preview the items from 10am before bidding on your great finds. The king of Philadelphia flea markets, Pennsy also has a fun zone for kids' parties!